A cool purple hoodie featuring a Pharaoh Tupac concept. 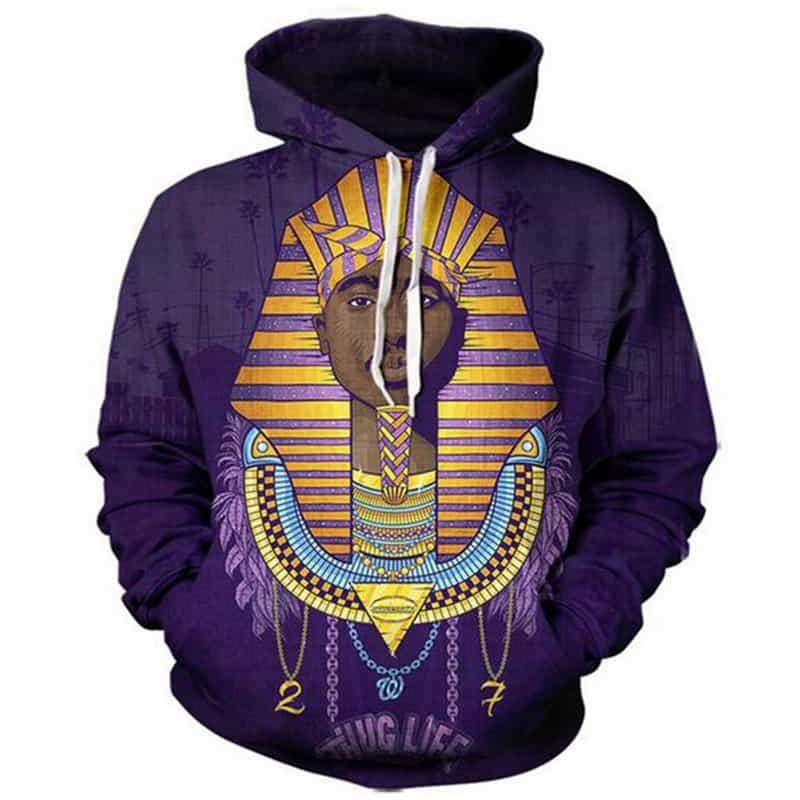 This Tupac Hoodie Pharaoh Concept shows Tupac as a Pharaoh on a purple background with the writing thug life at the bottom. The hoodie is comfortable to wear, looks fashionable and is wearable anywhere. It was designed for both male and female.